Barring a last-minute change to the starting line-up as a result of injury during the warm-up, former Nigeria international Victor Moses will make his full debut for Fenerbahce in their Europa League meeting with Zenit Saint Petersburg on Tuesday evening. 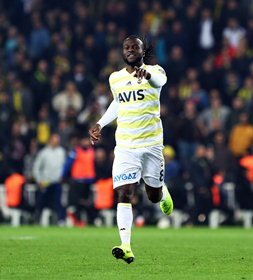 Manager of the Yellow Canaries, Ersun Yanal has included the Chelsea loanee in the starting line-up for the game at the Sukru Saracoglu Stadium. Yeni Malatyaspor, Goztepe and Kayserispor. The 28-year-old has his best goals to games ratio in the Europa League, with four strikes in eight matches for Chelsea. The former Crystal Palace and Wigan man starts on the right side of a three-man attack against the Russian Premier League side.